Your Team - Welcome to Back On Track! Originally from Spruce Grove, Dr. Regier holds a Bachelor of Science degree from The King’s University College, where she also played varsity basketball. She then relocated to Toronto in 2002 to pursue her chiropractic education, and graduated in 2006. Since then, she has gained valuable experience working in a variety of clinics focusing on sport and recreational injuries, as well as rehabilitation. She enjoys working with patients who want to achieve optimal health and is looking forward to returning to her home community. Originally from Toronto, Dr. Cubos holds a Bachelors degree in Physical Education and Health and a Masters degree in Kinesiology, the study of human movement. Having a passion for working with elite athletes, Dr. Cubos has worked in numerous sporting events including the Pan American Games, the World University Games, the Artistic Gymnastics World Championships and the IIHF In-Line Hockey World Championships. He has served as a member of various local and national medical teams and was the Chair of Medical Services for the 2012 Alberta Winter Games. A chiropractic sports specialist, he has also been a member of the teaching faculties at both the Canadian Memorial Chiropractic College and Seneca College, and has been a strong contributor to his profession through multiple journal publications and presentations including the Ontario Injury Prevention Conference, the International Federation of Sports Chiropractic Symposium, the Pan Pacific Conference of Medicine & Science in Sport, and the Beijing Rehabilitation Conference. Born and raised in Edmonton, Dr. Pang graduated with a Bachelor of Science in Kinesiology from the University of Alberta. She then moved to St. Louis, Missouri to attend Logan College of Chiropractic from which she obtained her Doctor of Chiropractic in addition to a Master of Science in Sports Science and Rehabilitation. Her time in the USA allowed her to gain a wealth of knowledge and experience working with a wide variety of patients from young children to college athletes to working mothers. Elisabeth's passion is for helping everyone from newborns to the experienced, to improve their health and well-being! Originally from Stony Plain, Dr. Zack-Bell holds a Bachelor of Science degree in Biomedical Science from Texas A&M University where she was a NCAA springboard and platform diver. She then pursued her chiropractic education at Texas Chiropractic College in Pasadena, TX and graduated in 2006. She went on to practice in Chicago, Illinois with a focus on treating pregnant women and their newborn babies. Using her experience as an elite athlete, Meghan also enjoys working with athletes such as gymnasts and figure skaters. Meghan is excited to be practicing back home in Alberta and looks forward to helping you and your family. Originally from Stony Plain, Dr. Tinney pursued a Bachelor of Kinesiology degree at the University of British Columbia. She then moved to Portland, Oregon where she earned her Bachelor of Science and Master of Science in Sports Medicine degrees, graduating as valedictorian of her class at the University of Western States. Dr. Tinney has integrated her lifelong passion for sports into practice, gaining valuable experience working with athletes and seeking out additional training in rehabilitation. However, she also enjoys working with a variety of patients, from pregnant mothers, to young children, and active adults. Alanna is excited to return to her roots and improve health through movement in her community. Her philosophy of care is centered around returning you to pursuing your passions. Dr. Tayce Nixon is a licensed Naturopathic Doctor who uses evidence based naturopathy to obtain optimal health and wellbeing. Her practice focuses on family medicine with an emphasis on women’s health, fertility/pregnancy, and pediatrics. She also has a passion for treating chronic and lifestyle related conditions such as irritable bowel disease, celiac disease, diabetes, heart disease, stress and anxiety. Patients are evaluated not only with a detailed clinical intake but also diagnostics (routine blood work, imaging, etc), physical exams, and nutritional assessments. Using diet, nutritional supplementation, botanical medicine, acupuncture, and lifestyle counseling, her goal is to develop an individualized treatment plan that improves the health of her patients. Dr. Nixon graduated from the four year naturopathic medical program at Boucher Institute of Naturopathic Medicine in New Westminster, BC. Previously she obtained her degree in Biology Sciences with a minor in Psychology with Deans Honours at the University of Alberta. She is licensed as a Naturopathic Doctor with the College of Naturopathic Doctors of Alberta (CNDA) and is a member of the Canadian Association of Naturopathic Doctors (CAND). She is also certified in Neural Prolotherapy and Bowen therapy. Tayce was born and raised in Stony Plain, AB. After completing her education in BC, she returned to her roots to be amongst her family and friends and raise her own family. She’s excited to share her knowledge and passion for healthy living with members of her community. with treating common health concerns like fatigue, depression and anxiety, menstrual problems, and weight loss, Danielle has a passion for treating patients with thyroid disease and autoimmune conditions (eg Rheumatoid arthritis, lupus, Crohn’s and colitis, and celiac disease). Danielle grew up in Brandon, Manitoba, and moved to Edmonton originally to attend the University of Alberta where she studied her BSc in Biochemistry and became passionate about how food affects the body. This led her to study naturopathic medicine out in BC. After her degree, she was happy to return to her adopted home in the Edmonton area. Joanna graduated from Grant MacEwan College’s 2200 hour massage therapy program in 2000 and has been a member of the Massage Therapist Association of Alberta (MTAA) since then. During the course of her 9-plus years in practice in the Spruce Grove community, she as taken certificate training in ergonomics & repositioning, remedial exercise, pre & post natal massage, labour support and infant massage (including focus on colic), as well as specific techniques for motor vehicle and whiplash rehabilitation. Joanna is currently enrolled in Catherine D’Aoust’s Body Ball Basic and Advanced workshops in November 2009. She takes special interest in the above areas as well as working with deep tissue, relaxation, trigger point, PNF massage, and Fibromyalgia patients. Susann graduated from MH Vicars Massage Therapy Schools 2200 hour massage therapy program in 2013 and has been a member of the Natural Health Practioners of Canada Association (NHPC) since then. Before coming to Canada in 2007, Susann worked as a Physiotherapist in Germany, where she also took certified training in Manual Lymph Drainage and Foot Reflexology. While in School, Susann volunteered at the University of Alberta for the Track and Field Team, providing Massage treatments for the Athletes. Since graduating Susann has taken certified training in special techniques for Motor Vehicle and Whiplash Rehabilitation and Micro moves for Instant Stress Relief. She takes interest in the above areas, as well as deep tissue, relaxation, trigger point and canine massage. Melissa graduated from MH Vicars 2200 hour massage therapy program and has been working as a registered massage therapist since July, 2010. She has taken additional certification courses in soft tissue release, Aaron Mattes' Active Isolated Stretching, Thai Yoga massage, athletic first aid, taping & strapping, and is currently obtaining certification as a Personal Training Specialist. In addition, Melissa also has an interest in sports injury & functional movement, sports performance, deep tissue, trigger point therapy, chronic pain management, and postural dysfunction related massage. Born and raised in Spruce Grove, Leah graduated from the Alberta Massage training 2200 hour program in June, 2012. She has been a member for the National Health Practitioners of Canada since 2011. Leah has taken several courses including myofascial cupping and has a strong interest in equine sports massage and myofascial release. Additionally, she also utilizes deep tissue massage, trigger point therapy, PNF stretching, active and passive release and postural dysfunction. 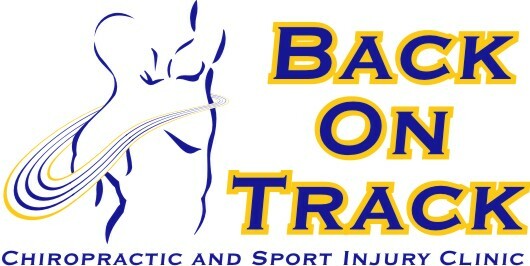 Amanda has been a member of the Back On Track team since November 2008. She is originally from a small town east of Edmonton, and has also spent some time on beautiful Vancouver Island. With a warm personality, Amanda plays a pivotal role in the process of helping people achieve health and wellness at Back On Track. Kenda has been a long-time member of the Back On Track team. As a receptionist at the Spruce Grove Vet Clinic for 15 years, Kenda brings a wealth of administrative and personable experience to the reception team at Back On Track. Jaelyn jointed the Back On Track team early in 2013. She is currently pursuing her education at Grant Macewan University (Psychology major) in order to become a school counselor. While not here at Back On Track or in school, she spends her leisure time playing soccer and yoga.